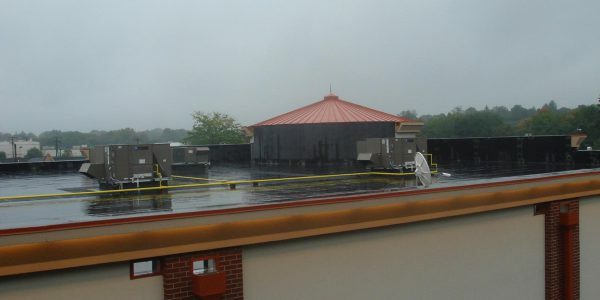 Genflex EPDM bonding adhesive was installed on the flat roof. 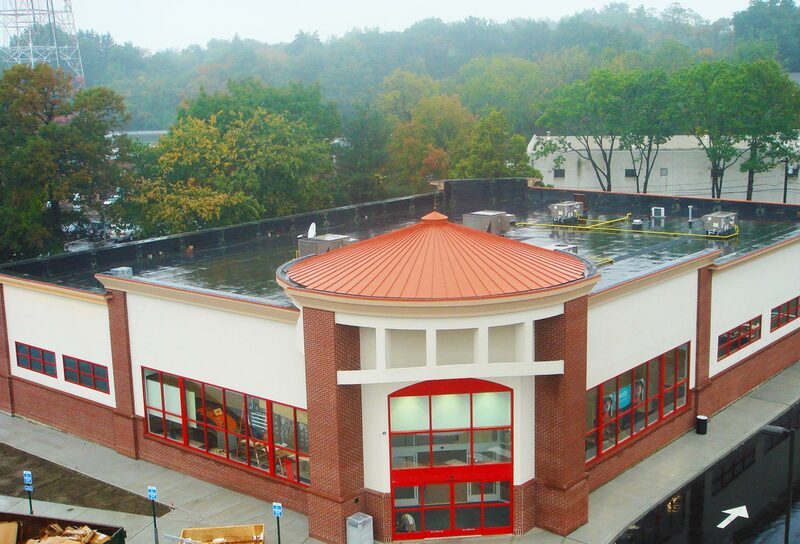 GenFlex EPDM is ideal for either new roofs or for roofing over a variety of common roof deck types and insulation materials. 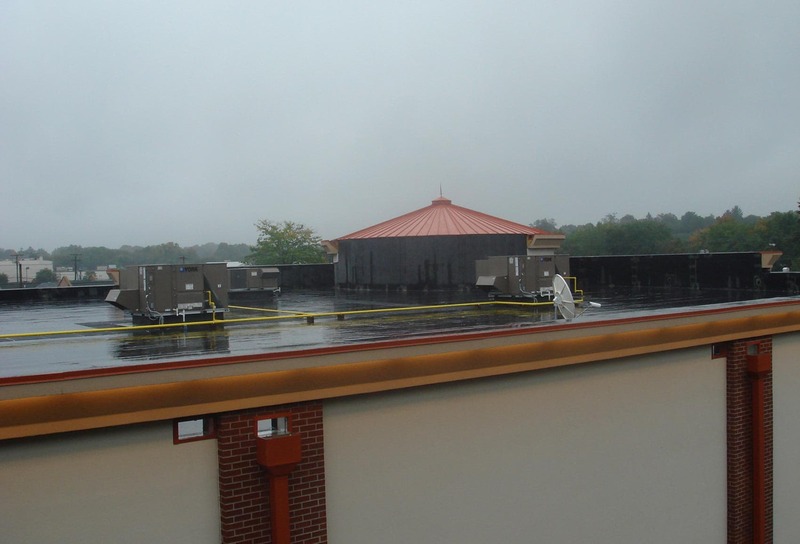 GenFlex EPDM systems have a performance history of over 20 years and can be warranted for up to 20 years depending on the system design. 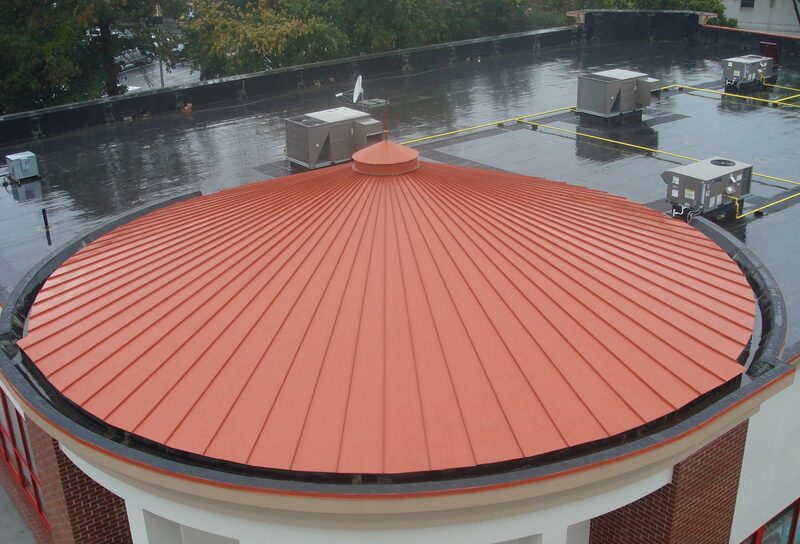 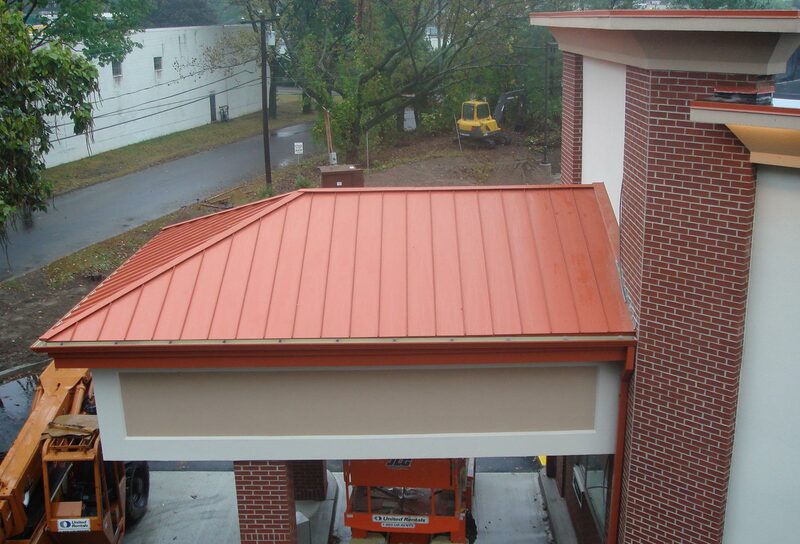 Firestone-Una clad was used on metal roofs. 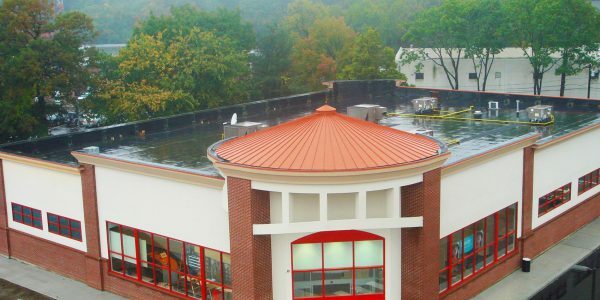 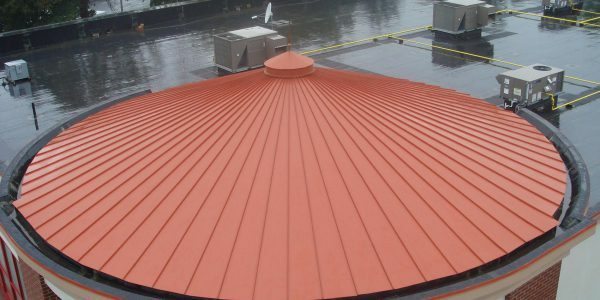 As one of the leading suppliers of architectural products to the construction industry, Firestone Building Products offers a variety of sustainable, dependable and environmentally friendly metal roofing system options. 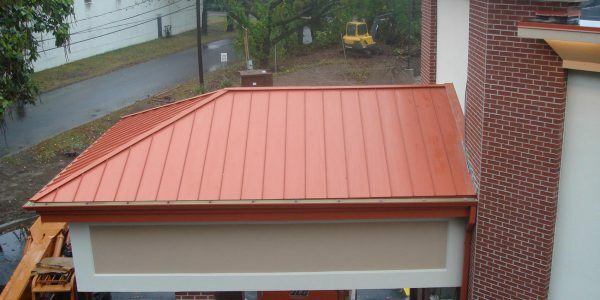 Available in a wide range of applied finishes and materials, Firestone metal roofs allow for maximum design freedom, while providing long-term peace of mind through our Firestone Red Shield™ Warranty coverage.